Optimise all your essential fats naturally, with Vertese® Omega Oils 3.6.9 – our smooth blend of hearty oils. Fats in the diet are often given a bad press but not all fats are bad news, for instance omega 3, 6 and 9 are needed for good health. These fats are known as essential fats which means the body can’t make them so we have to get them through the diet. 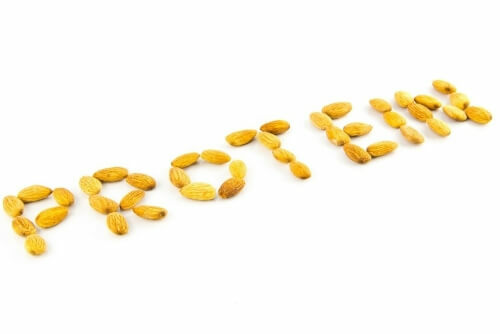 Nuts, seeds and plant oils are good food sources for omega 6 and 9, but omega 3 fats are a little harder to obtain from vegetarian or vegan sources as the best dietary source is fish. This doesn’t make dietary support impossible though, we just need to be a bit more creative with our food choices! Seeds such as hemp and flaxseed (also known as linseed) contain omega 3 fat ALA which supports a healthy cholesterol level and can be used by the body to make other omega 3 fats. 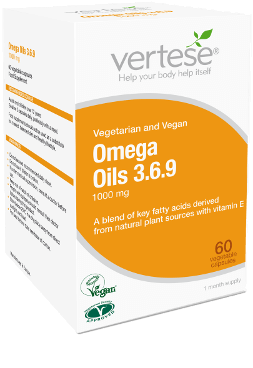 Vertese® Omega Oils 3.6.9 capsules can support your healthy diet and lifestyle choices by providing essential fats derived from natural plant sources such as flaxseed, pumpkin and sunflower seeds. It’s free from dairy, added sugar, salt and yeast and does not include any artificial colours, flavours or preservatives. 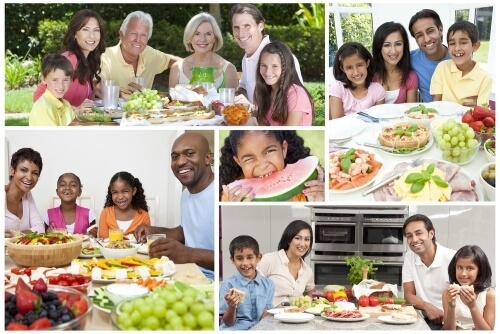 It’s registered with the Vegan Society and Vegetarian Society approved. Oil, Soya Lecithin, Rice Bran Oil. Adults and children over 12 years: Swallow 2 capsules daily, preferably with a meal.